Automated guided vehicles (AGVs) are vehicles that have been programmed to a routine of activities and use sensors to guide their motion through a defined space. The control of the vehicle through routines are updated with information from sensors within the physical space and/or attached to the vehicle. 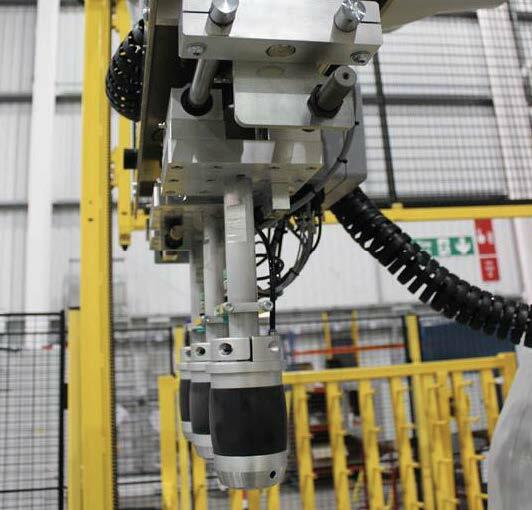 The AGVs can also exchange data and information to and from the factory’s physical inventory. 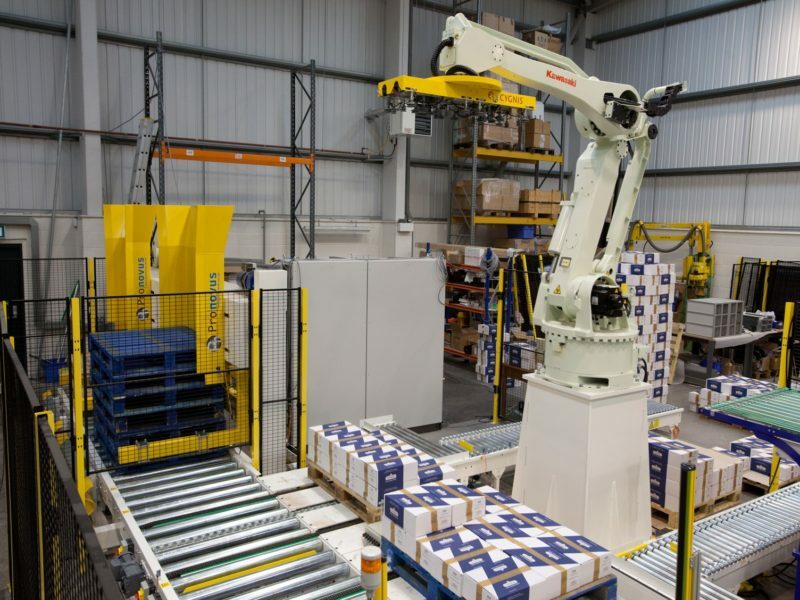 A common application for Automated guided vehicles (AGVs) is for the movement of packages around a plant and inventory control of large creel systems. 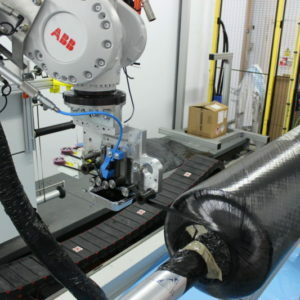 Modern carbon fibre lines, for example, make use of large packages up to 500kg, with upward of 400 positions in the creel. 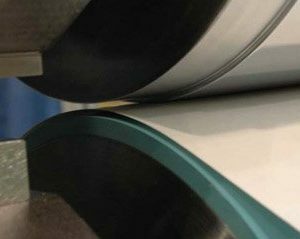 AGVs can be used to transport these large packages and minimize the amount of physical labour required. 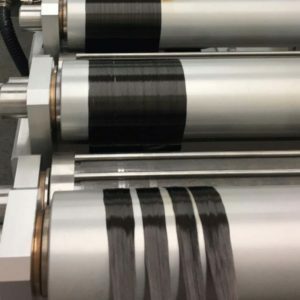 For such a system the frequency of creel changeover and the time desired for reloading the creel become critical factors for the design of the system and the selection of an AGV. 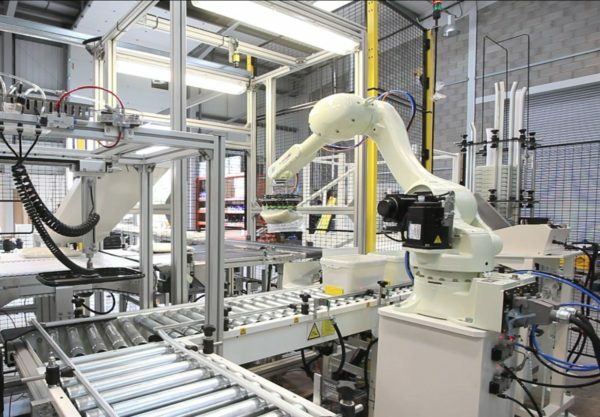 Robotic packaging and handling systems are used to decrease the amount of operator interface required for managing the materials into, or product off, a production line. Automation also enables production systems to work with larger/heavier packages. 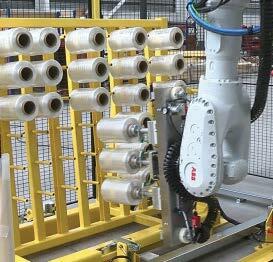 Automated packing and handling lines are highly customized to the client’s production. 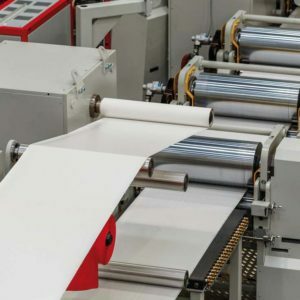 Factors such as type of packing materials, range of size and weight of product, as well as the layout and configuration of the factory, are all considered as part of a bespoke solution.